I recently did several interviews about the annual Airline Quality Rating, which ranks the nine major U.S. airlines from best to worst. Since then I’ve been getting questions from folks who wonder if they should fly lower-ranked carriers. Which airlines are ranked highest and lowest? All airline evaluations were made on the basis of 2018 performance, and Delta came out slightly ahead of the pack. Who came up with the Airline Quality Rating list? It’s an ongoing ratings system published each year by two professors, Dr. Brent Bowen with Arizona’s Embry-Riddle Aeronautical University and Dr. Dean Headley of Wichita State University in Kansas. This is the 29th annual report. 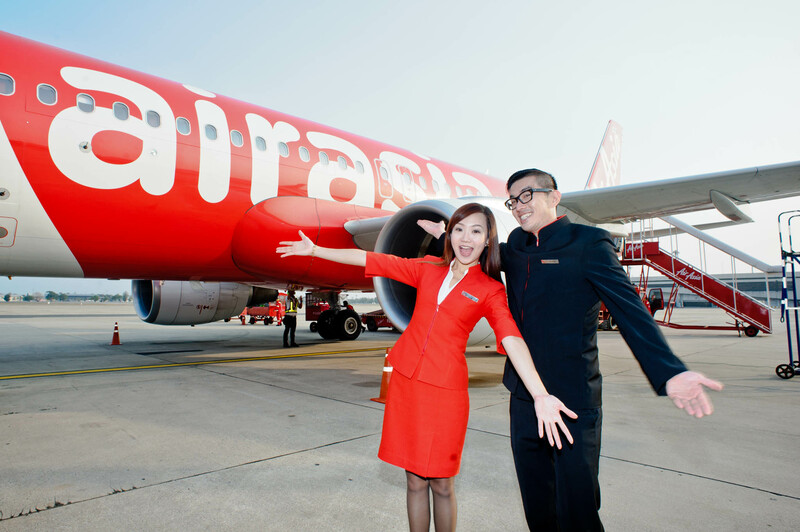 What criteria is used to determine an airline’s rank? Four main areas: On-time performance, denied boardings (involuntary bumpings), mishandled baggage (missing or lost luggage) and customer complaints. And all of this information is gleaned from Department of Transportation data, which is published monthly. So if I want to get somewhere on time, this list tells me which airline to choose? Not necessarily. Hawaiian topped the list for best on-time performance, but it does a lot of flying in Hawaii — and weather delays like snowstorms are pretty rare there. United had the worst on-time record in this report, but the carrier ran into a lot of bad storms last year. Bottom line? There are some things airlines can’t get around, like weather, mechanical problems, or even airplane groundings such as those involving 737 MAX 8 planes this spring. What about the complaint category. Did lots of people have gripes? What does this report tell us about lost baggage? It tells us the airlines are improving. We’ve actually seen steady improvement in this area for years. Plus, even the airline with the worst baggage record – American – only mishandled an average of less than four bags per 1,000 passengers each month. Will airlines continue to lose bags? Of course, but travelers are generally reunited with their suitcases within hours, or at worst, within a day or two. It’s a rare bag that is gone for good. Should I use this report as a guide when choosing airlines? Does the airline go where I need it to fly? Does it offer tickets I can afford? If my flight is even a little bit late, will my trip be ruined? You’ll find the answers to the first and second question by using an airfare comparison site (there are several out there). If flying in the U.S., also go to Southwest’s website, because it’s the one airline that does not share its fare info. And if you want to save even more and your travel dates are flexible, use a deal-finding tool that zeroes in on the best prices in a month or season. Now, to answer the third question, the chances of having an on-time flight on any of the airlines in questions is good, but what if your flight is late? Stuff happens no matter what airline you fly, and whenever there’s a problem, your best bet is to get in touch with the airline immediately, whether that means standing in line for a rep at the gate, getting on the phone, or contacting the carrier via social media. Finally, you’ll rarely have to worry about a late flight ruining a trip if you always give yourself plenty of time. When you book, schedule plenty of time to make a connection, and schedule plenty of time to make a morning event, even if it means flying in the night before. 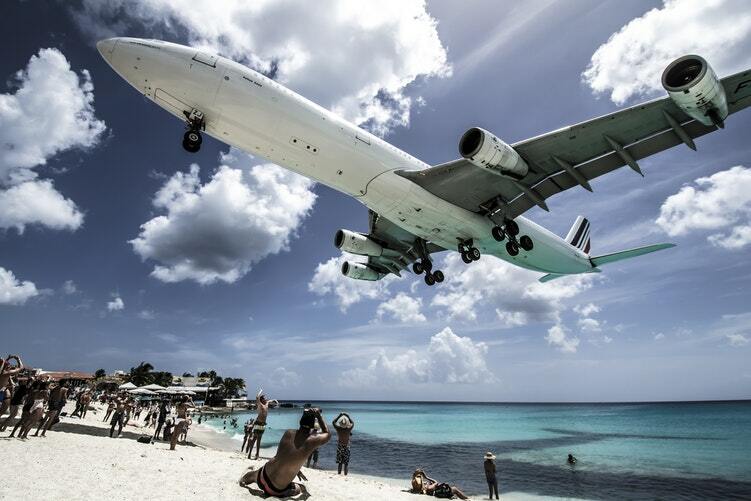 Most flights do arrive and depart on time, but don’t make the mistake of assuming that will happen every time. TUI’s CMO for UK & Ireland says the travel company has developed the marketing academy to create more rounded marketers and improve its employer branding. TUI is launching a marketing academy as it looks to broaden the scope of marketers and improve its employer branding reputation. By doing so the brand wants to give people the opportunity to progress within the marketing and sales function and become more rounded marketers. “People tend to be single discipline within marketing, so they either do digital marketing, or brands, or CRM. What we want to do is offer people a chance to get a more rounded set of skills which means they can move up and across within the organisation,” Katie McAlister, TUI’s chief marketing officer for UK & Ireland, tells Marketing Week. By launching the academy, the brand also wants to become “the employer of choice for marketing professionals”. Marketers at all levels, including new hires, will be encouraged to join the academy. “We don’t have a huge amount of crossover currently between our marketing disciplines so there is always something for someone to learn,” McAlister explains. The course is voluntary but will be built into the personal development plan of every employee in the 350-strong head office of marketing and sales teams. Managers and employees will review and analyse individuals’ career progression, with the marketing academy able to fill in knowledge gaps. “There is an expectation that people are responsible for their own development and that everyone has a personal development plan,” McAlister says. We don’t have a huge amount of crossover currently between our marketing disciplines so there is always something for someone to learn. Last year TUI extended McAlister’s CMO remit to include sales, something which has been extended to the academy. “It’s about the coherence experience, so setting out what the brand purpose is and what it means for customers but also delivering that on channels that customers interact. It’s a natural progression and it definitely puts an emphasis on the effectiveness of the marketing, not only driving brand KPIs but commercial and sales KPIs as well,” she says. To ensure the academy continues to be relevant, McAlister says the team will make sure content stays fresh and it will keep the senior leadership team abreast of any updates so they know exactly what’s available to help guide their teams to the right content. The academy is made up of three elements: online learning courses, leadership training and TUI specific workshops. The e-learning platform, which has been developed by Marketing Week sister brand Econsultancy, is made up of eight online topics, each comprising a number of interactive classroom sessions and offline reading. The platform covers a range of topics from customer experience and user journey mapping to data and analytics and ecommerce. Each module has a test element for participants to complete before ‘graduating’ when all elements are complete. Each video includes an introduction and conclusion from one of TUI’s marketing leadership team to contextualise back to the business. Alongside the e-learning platform, TUI will continue its TUI knowledge programme, a series of half-day workshops run by senior management level. The programme covers 12 topics from aviation planning to how the brand’s tour operator works and leadership training. The academy will offer more frequent workshops, though, which are open to a wider pool of people across the sales and marketing teams in the UK and Ireland. United Airlines is the first airline to offer a non-binary gender option for passengers booking flights. Customers can select M (male), F (female), U (undisclosed) or X (unspecified), to correspond with gender-neutral passports that are issued by some US states. Last year, the trade bodies Airlines for America (A4A) and the International Air Transport Association, which represent most of the largest airlines in the US, approved changes to booking procedures to include non-binary gender options. United is the first to adopt these new set of best-practice standards for carriers. United has also added Mx to its online dropdown menu of titles for those not wishing to indicate gender, and is working with advocacy groups The Trevor Project and Human Rights Campaign to train staff on preferred pronouns, LGBT workplace competency and other inclusivity initiatives. 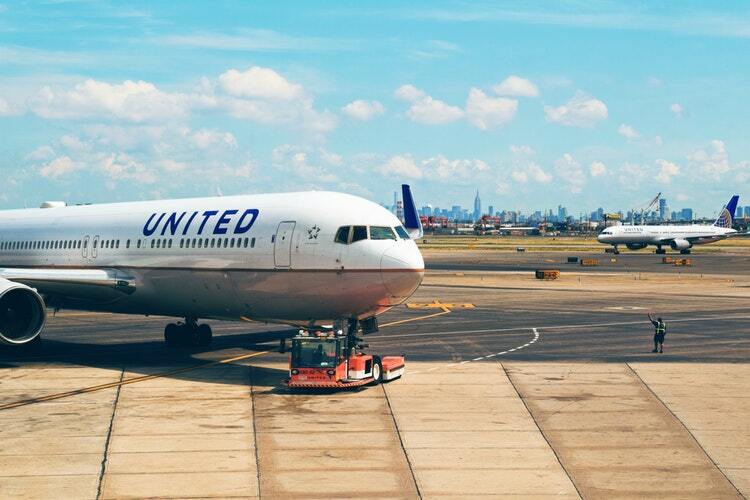 “United is determined to lead the industry in LGBT inclusivity, and we are so proud to be the first US airline to offer these inclusive booking options for our customers,” said Toby Enqvist, chief customer officer at United. “Being acknowledged as the gender you identify with is part of treating everyone with dignity and respect,” said Beck Bailey, acting director of the workplace equality programme at Human Rights Campaign. Oregon was the first US state to approve the inclusion of the non-binary X gender indicator on ID cards, passports and driving licences in 2017, followed by Washington DC, New York, California, Maine, Minnesota, Arkansas and Colorado. The indicator is also recognised by the UN agency for air travel, the International Civil Aviation Organisation. Outside the US, citizens can obtain gender-neutral travel documents in Canada, Australia, Denmark, Germany, Malta, New Zealand, Pakistan, India, Ireland and Nepal. In 2018, Germany and Austria also approved intersex as a third gender, recognised under law for official documents. In February, Air New Zealand said it was exploring non-binary gender options and the Lufthansa Group, which owns Lufthansa, Swiss and Austrian Airlines, said that implementation was under consideration. British Airways has also said it is working to change its booking platform to reflect gender self-identification. In the UK, many government organisations and businesses accept Mx as a title for non-binary people. However, UK passports do not currently recognise non-binary gender, as the High Court ruled against a bid for passports to have an X marker in June 2018. The decision was met with disappointment and anger from charities and activists, who continue to call for non-binary people to be recognised under law. In 2018, a government consultation gathered views from respondents on transgender issues as part of the reform of the Gender Recognition Act. However, it did not engage directly with calls for legal recognition of a third, or non-binary, gender. On 31 March, the annual International Transgender Day of Visibility will celebrate transgender people, while raising awareness of discrimination. Last year HSBC used the day to introduce the option to choose from an additional 10 titles, including Mx, Ind (individual), Misc (miscellaneous) and Mre (mystery). If you’re a passenger on one of the more than 10 million scheduled passenger flights that depart from U.S. airports each year, you may barely even notice the crew of cleaning workers who hurry onto the airliner after your flight, in order to get the cabin ready for the next group of passengers who’ll soon be boarding. Nevertheless, cleaning airliners is a crucial part of air travel, and not just because it makes it more pleasant for passengers to spend several hours in a relatively crowded, confined space. It’s also important for passengers’ health to remove refuse and clean dirty surfaces that might harbor germs that could make people sick. “Airlines work continuously – both between flights and overnight – to provide a clean and comfortable cabin area for their passengers,” Vaughn Jennings, a spokesperson for Airlines for America, an industry group, says via email. It’s a job that has to be accomplished in a matter of minutes, given the quick turnaround times that airlines have to meet, and it takes a systematic, highly-organized effort to get it done. These days, cleaning companies use sophisticated software and wireless devices to track when planes arrive and determine what sort of cleaning they need, and to dispatch crews and follow their progress, as this 2015 BBC story details. ABM’s team leaders, for example, each carry a hand-held device that gives them all the pertinent information on the particular plane they’re about to clean. The precise steps in cleaning an airline cabin depend upon many factors, such as the time the plane will be on the ground and whether the flight is domestic or international. “Short-haul or domestic flights typically return to the skies quickly, so there’s less time to clean these planes than those used for international flights,” Alford says. To deal with that variation, ABM has three different types of cleaning operations, according to Alford. Depending upon the clean type and the particular airline’s specifications, it may take between five and 12 people equipped with cordless vacuums and disinfectants to get the job done. They move through the plane in a systematic fashion. “Each team member is assigned a task to complete, per our internal process flows,” Alford explains. The toughest jobs are the turn cleans, because the amount of time it takes for passengers to get off the plane can vary, and planes sometimes arrive behind schedule, putting the cleaning crews under even more time pressure. “When planes are late, we look to increase the manpower onboard, which allows us to complete the required functions, without affecting the passenger experience,” Alford says. Another challenge for cleaning crews is dealing with the possessions that travelers sometimes inadvertently leave behind on planes. 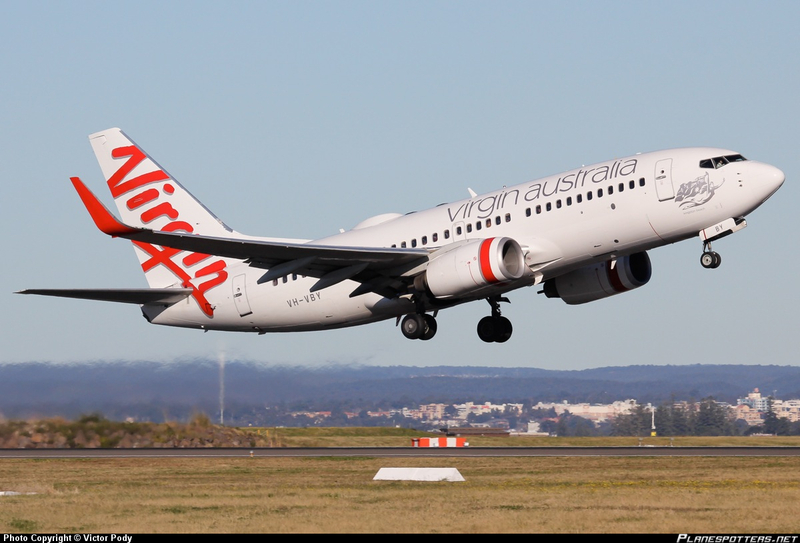 Virgin Australia has been awarded rights to start its planned flights to Hong Kong and Beijing from June 2017. Australia’s International Air Services Commission has awarded the carrier a daily frequency to operate between an Australian gateway airport (Sydney, Melbourne, Brisbane or Perth) and Hong Kong, and 1,925 seats per week to mainland China. Both determinations are valid for five years from 17 June, and the capacity must be fully utilised by 1 June 2017. The airline had previously noted in its application to the Commission that it planned to operate daily services to Hong Kong and Beijing using Airbus A330-200s configured with 275 seats. Flightglobal’s Innovata schedules show that Cathay Pacific and Qantas are presently the only operators of nonstop services between Australia’s main gateway cities and Hong Kong. Air China operates five-times weekly on the Beijing-Sydney route, and thrice-weekly on Beijing-Melbourne. The new services are part of its recent alliance with HNA Group. Pending approvals, the Chinese conglomerate is set to take a 13.3% stake in Virgin for A$139 million ($115 million), and has signaled intentions to raise that to 20% over time. AirAsia has purchased a used Bombardier Global Express business jet from Caterham Jet Global for use as an executive transport. The aircraft, registered 9M-CJG, was bought for $10 million, and will be used by AirAsia group chief executive Tony Fernandes and executive chairman Kamarudin Meranun for the “purpose of executive efficiency”. The airline says in a Malaysian stock exchange statement that without the business jet there would be a “significant loss of productivity due to inefficient wait times, especially with the high volume and frequency of travel undertaken” by the two executives. The jet has been operated by Caterham – which is owned by the two executives – since 2012, under an arrangement which saw it second pilots and engineers from AirAsia to operate and maintain it. AirAsia adds that owning the business jet will save it around $3 million in goods and service taxes associated with its current arrangement.”It should be noted that private jet prices in Asia have declined over the past two years since the slowdown in the regional economy, which makes Global Express relatively cheap to acquire at the moment,” it adds. Flightglobal’s Fleets Analyzer shows the aircraft was built in 1997, and was used by Bombardier as a demonstrator aircraft before being acquired by Caterhamjet in 2012. 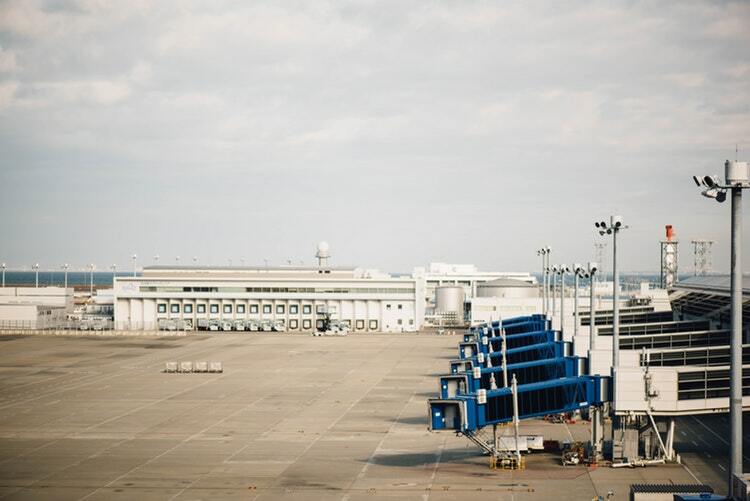 K budget carrier EasyJet is to concentrate on talks with European governments to ensure that its operations are not interrupted by the UK’s decision to break away from the European Union. The airline says its initial aim is to “accelerate” discussions with governments and regulators to make sure that the UK remains within the single European aviation market. Chief executive Carolyn McCall says that the airline has urged the UK government and European Commission to “prioritise” this objective. “This would enable EU airlines to fly freely within the UK and between the UK and the EU, allow UK airlines to fly freely across Europe and would ensure that consumers continue to benefit from low fares,” says the carrier. EasyJet insists the result of the 23 June referendum “will not have a material impact” on its strategy or ability to deliver sustainable growth. It says is has been preparing for the possibility of a UK exit from the EU and that it has been “working on a number of options” to allow it to maintain flights to all of its markets. Alongside the regulatory discussions, it says, it will “continue to develop” these alternatives in order to retain its network. Ryanair, Europe’s favourite airline, announced that it will launch a low price accommodation offer, “Ryanair Rooms”, from 1st October next, offering its 116m customers the widest choice of hotel, hostel, B&B, holiday villa and homestay options, but always at the lowest prices. Ryanair is inviting all interested accommodation providers to submit proposals to become partners in “Ryanair Rooms”. With “Ryanair Rooms”, the airline will widen the range of accommodation it offers to customers beyond just hotels to include (a) hotels, (b) hostels and B&Bs and (c) homestay/villas and other ‘room’ offers, but all will be at the lowest possible prices for Ryanair customers. This latest customer initiative follows the launch of Ryanair Car Hire last August, (in partnership with CarTrawler) and will be the latest digital improvement delivered by Ryanair Labs, under the “Always Getting Better” programme, which includes a best-in-class personalised website, and dynamic mobile app. Ryanair’s Kenny Jacobs said: “Ryanair’s low fares revolutionised air travel for Europe’s passengers – now with “Ryanair Rooms”, we’re going to transform booking accommodation. Launching on 1st October, “Ryanair Rooms” will offer consumers the biggest range of accommodation, including hotels, hostels, B&Bs, homestays and villas, via the Ryanair.com website, but all with the same lowest prices we guarantee with our flights. As flying goes, the only thing more uncomfortable than sitting next to a couple having a spat on an airplane, Maury Rogoff learned, is sitting between that couple — especially when one partner prefers bare feet. Ms. Rogoff, who owns a public relations firm with offices in New York and Florida and travels frequently, discovered what a growing number of travelers now know: The middle seat has become the third rail of flying — and it is getting harder to avoid. As planes fly at record capacity and new cabin configurations squeeze in ever more passengers, airlines are, intentionally or not, nudging fliers into paying extra to avoid drawing the proverbial short straw. “I was literally in the middle of their argument,” Ms. Rogoff said. “It was just that awful.” Her discomfort was magnified when the husband kicked off his shoes and crossed his legs, thrusting a bare foot into Ms. Rogoff’s space. Her entreaties with his wife to swap seats fell on deaf ears. “Of course she had no interest because it was middle, and because it was a smelly foot,” Ms. Rogoff said. For travelers like Ms. Rogoff, airlines are making it harder than ever to avoid the middle seat based on luck alone. Southwest, which does not assign seats, raised the price of an early-boarding pass to $15 from $12.50 last month. For those who do not pay up, it is a mad rush when online check-in opens 24 hours before the flight. Delta Air Lines’ Basic Economy fare, introduced last year, does not allow seat assignments to be made until after check-in — when higher-paying customers have had a chance to claim window and aisle seats. 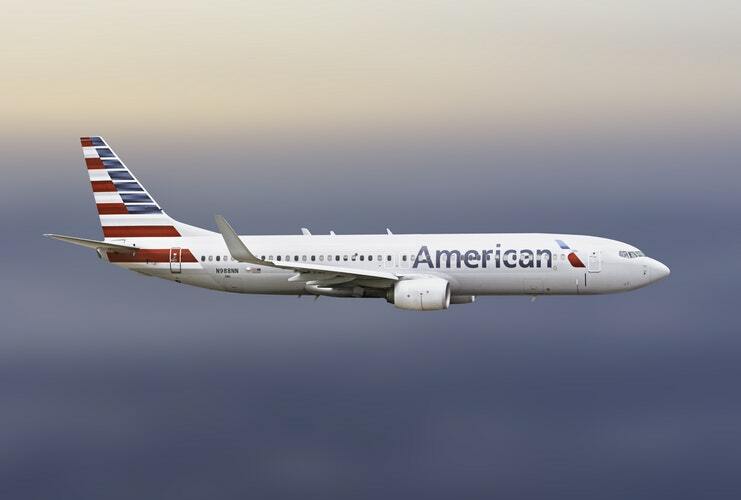 American Airlines and United Airlines plan to introduce similar fares this year. Neither would confirm whether selecting a seat would be one of the perks eliminated, but one airline analyst said it was likely, given the competition legacy airlines face from low-fare carriers. But the crunch has left some travelers taking extreme measures to avoid getting stuck in the middle. Fliers said they have offered fellow travelers money or drinks to switch seats, paid the fee to upgrade to a premium or exit row, feigned illness or switched flights. Some travelers even report buying two seats, just to have an empty one next to them. Dr. Sachin Shridharani, a plastic surgeon in New York, found himself on an overbooked flight back from San Diego, and a middle seat was the only one available. The trade-off was to wait in the airport for four hours, but Dr. Shridharani said it was worth it so he could work on the way home. “You can’t have someone looking over your shoulder,” he said. In the end, analysts say, airlines are selling a form of real estate, but they are trading in square inches, not square feet. One carrier, though, has tried to address the issue. Frontier Airlines recently installed new seats on its Airbus A319 and A320 planes, with the middle seats about an inch wider than the window and aisle seats. But for most passengers, the tight squeeze continues, and business travelers say counting on their frequent-flier status to avoid the middle seat is no longer a sure thing. Mr. Jeffries said he sometimes buys two seats — a window or aisle, and a middle. It’s cheaper than buying a business- or first-class ticket on a legacy carrier, he said. 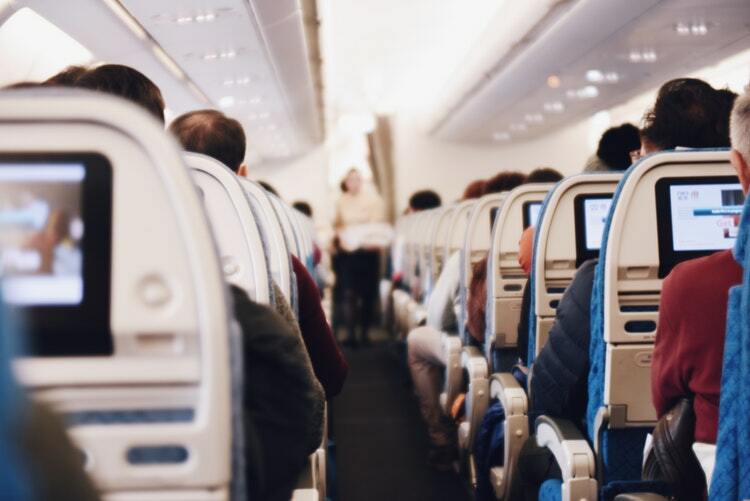 “We find that people will pay for premium economy or any kind of seat assignment if they’re traveling solo to avoid the middle seat,” said Julia Douglas, owner and president of Jet Set World Travel in Chicago. Some travelers will spend hundreds of dollars more, she added. Another approach is to appeal to another traveler. “There have been instances where I’ve bought someone an upgrade,” said Michael Winston, who used to travel once or twice a week while working in management consulting. At times, he said, he had resorted to bargaining with seatmates to avoid the middle seat. It is not an uncommon transaction, frequent travelers say, with cash, upgrades and cocktails all serving as forms of currency. But that is assuming that the seats are available. Last year, airline capacity again hit a record high, just shy of 85 percent, meaning that a lot of flights are full. And that leaves flight attendants and travel agents acting as de facto referees for games of midair musical chairs. The excuses passengers use to avoid the middle seat are many, they say. “Long legs is always one,” Ms. Douglas said. She then listed the most common complaints: claustrophobia, a need for frequent trips to the bathroom, flight-induced panic attacks and a penchant for airsickness. Of all the excuses, genuine or exaggerated, the one that seems most effective is the threat of gastrointestinal distress. William Bauer, who travels frequently as an executive at a manufacturer of leather goods, said that hinting at a medical need for quick access to the bathroom usually prompted either gate agents or fellow passengers to make the switch for him. On one recent flight, though, the tables were turned when Mr. Bauer found himself on the receiving end of a plea to swap seats on a cross-country, red-eye flight.